Over the past year there has been considerable debate over the decline in Bow River trout populations. Fingers have been pointed at every possible direction & cause, but no agency or government department is making moves to tell us what is responsible for the decline and possible ways to stop it. One can argue that more research is needed before action is taken to correct the decline. But at the speed government works there is a possibility the the Bow River trout population will have gone below the threshold level for sustainability before they react. 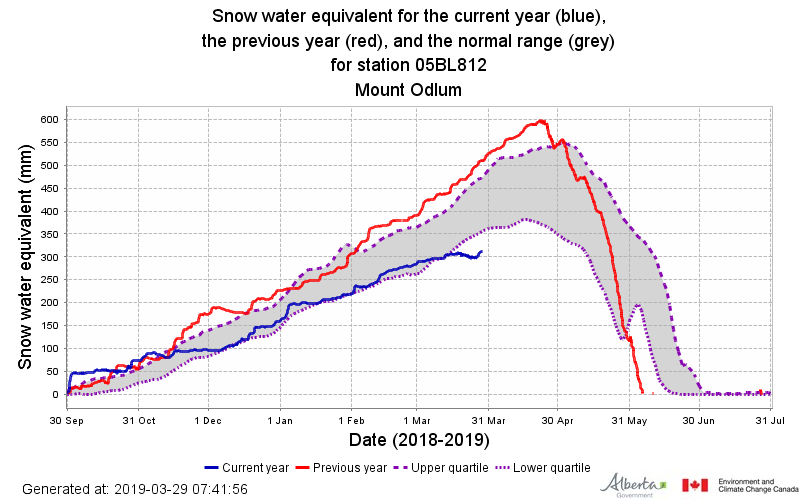 With the extremely low snow pack in the Bow River headwaters (see following charts) should there be any flood mitigation protocol this year? 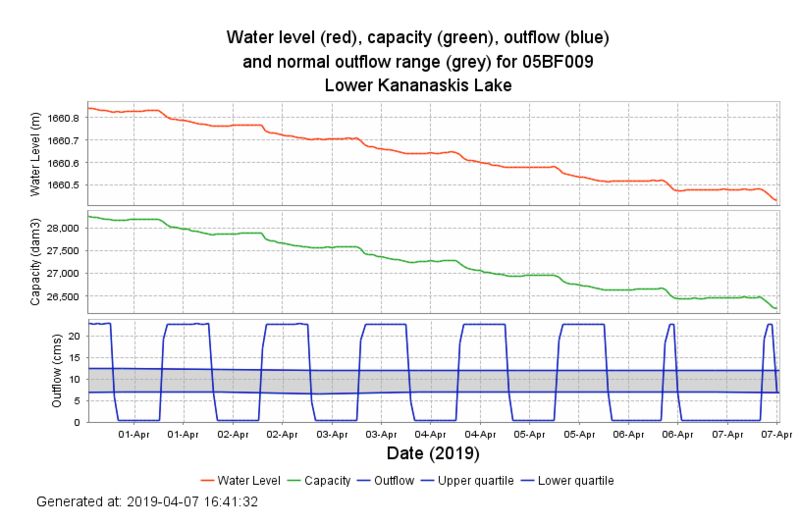 If we don't get a substantial dump of rain over the next month and Ghost Reservoir has been emptied - river flows will be extremely low in August and September. With less than 5% of TransAlta total Alberta power generation capacity derived from the Bow River hydro plants, an alternate peak demand power generation source should be considered. Decommissioning the Bow River Basin’s hydropeaking facilities or modifying their operation protocols would not only enhance the rivers ecosystem and add to the sustainability of threatened and endangered species of fish but contribute to the recreational fishery and Alberta’s economy. Leadership is needed to make a change – now is the time to do so if society is to continue to enjoy the Bow River’s beauty and the fish that depend on a sustainable environment. My (admittedly uneducated) guess is that the dams in place would still be used to buffer stream and river flows to prevent flooding, and some electrical power could still be produced, but this peak demand scenario would be mitigated by an alternative source for power? Or would all the hydro-electric machinery be removed? 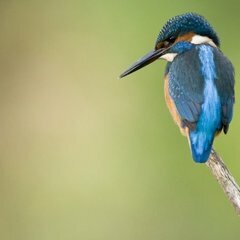 Would some of the dams be removed too, and if so, what might be proposed? As a slight thread drift, my electrical power shunts on/off so frequently that I am very displeased with the Transalta system. I am re-setting clocks, under-floor heating thermostat clocks, microwave, oven and desktop computers regularly as a result of disruptions to service. As a paying consumer and water conscious sportsman I am disappointed entirely with this state of affairs. Thanks for the link fishteck. While heartened by the report and the sincere effort of the foundation, I am dismayed that Federal and Provincial authorities are ineffective at data gathering, analysis, and regulation of these matters. The alliance between business and supposedly responsible government is simply an affront to common sense and responsibility. Mind, if common sense were common everyone would have it. Ah, my favorite topic...actually FishnChips, Alberta has more than ample peaking power generation, without the Bow system hydro at all. Hydro elsewhere (e.g., NSR system) and, increasingly, gas-fired generation provide all the peaking we need. In 2020, the current Power Purchase Agreements to which most of the Bow hydro plants are subject expire. Then TransAlta can basically operate these unfettered (from an electricity market dispatch standpoint - still subject to their operating licenses (Alberta Environment) and any flood mitigation protocols). These hydro assets are old, and have been fully depreciated for some time, so there really is no economic argument to be made to say that they could not be operated in another mode, i.e., more run-of-river, and with downstream flow stabilization as more of a priority, than on-demand peaking generation. Your electrical supply disruptions are a function primarily of the distribution system operation, wherever you are located. Alberta operates as an electricity pool - all generation output is sold into an pool, and then distributed from there. You should talk to your local distribution "wires" provider if you are having supply reliability problems. It has nothing to do with generation. There are many who are in the know suggest that TransAlta Bow River hydropeaking power generation plants could well be violating DFO legislation whereby a native fishery needs protection from man's intervention. An example is Pocaterra on the Kananaskis River where hydropeaking is at its worst. During the night water flows are almost stopped to fill the Lower Kananaskis Lake. The Kananaskis River was once a pristine Cutthroat Trout Fishery. TransAlta power generation plants on this river have eliminated a once quality fishery. Go to the "Historical" tab, and select "Pool Price". Then enter the date range of interest, and up pops the hourly wholesale price history. Generally, there is a materially higher hourly electricity price during the day, than at night, as electrical load in the province correlates strongly with daily human activity (household, work, etc., vs. sleeping at night). Hence the pattern in the Bow hydro flows you show above - flow the water (and thus generate electricity) during the day, when the price is higher, and cut back at night. Water in these relatively small reservoirs is valuable/scarce, and hence its value in the form of electricity is to be maximized in accordance with hourly electricity prices. The further bad news is that with all the wind generation we are adding in this province, this will increase electricity price volatility (due to the fact that wind energy generation is intermittent, and somewhat unpredictable - cannot be controlled/matched to load). Hence, when the wind blows at night, when we are generally surplus electricity supply anyways, it pushes down the price. Conversely, when demand is high and the wind isn't blowing, price shoots up. In Feb this year, through the cold, wind generation was almost nonexistent in Alberta - and we had very, very high electricity prices accordingly. So as more wind adds to electricity price volatility, the economic driver to screw with these hydro flows to take advantage of that peak electricity pricing will only increase. 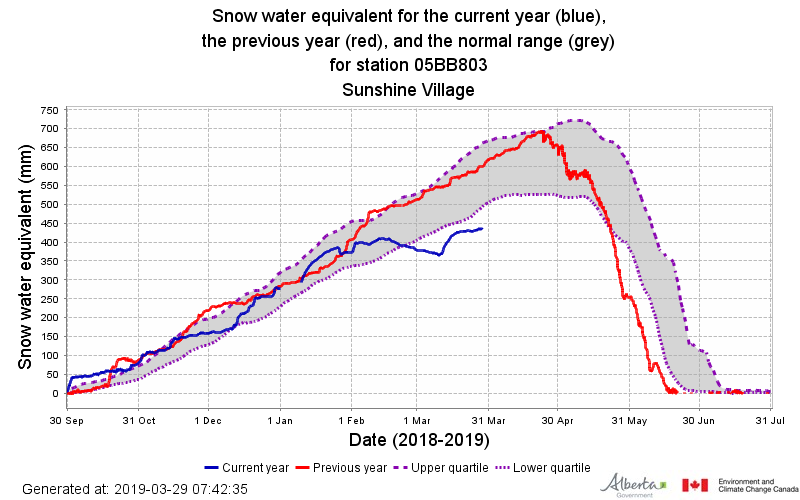 Coupled with the TransAlta hydro PPA's expiring in 2020, this could be a "perfect storm" for even more jacking around with these hydro facilities, with further detrimental effects to the fisheries. Thank you both for your contribution to improving understanding of the complexity of these issues. There is good news in your first post Sparkplug, which is somewhat mitigated by your second post. It seems a bit of a tail-chasing exercise. The diurnal fluctuations in consumption will hopefully be supplanted by gas generated electricity. 2020 will be interesting. Personally, I'd love to see the dams re-purposed to water flow control, (dump the hydro generation), and restore some fishery to the Kananaskis River. I'll gladly pay a bit more for electricity for the fish. I'd love to see Cutthroat populations return, but that would likely mean significant culling of the Brown and Brook populations in the Upper Bow. Man, what a mess. We can do it with enough education and determination I think. The marginal cost of generating electricity by burning gas is material (natural gas price x the heat rate, or amount of gas burned to generate a MWh of electricity). The marginal cost of operating hydro is virtually zero. Thus, hydro will always be used (dispatched) first to respond to price compared to gas, economically speaking. The only thing that can possibly mitigate/change TransAlta's operation of these hydro facilities is regulation, through greater restrictions on their operating licenses. A case would have to be made to AEP that it is in the public interest to have these facilities re-regulated (i.e., operated in more of a run-of-river mode, subject to much tighter daily fluctuation limits) to protect/enhance fisheries, as a priority over TransAlta's economic interests.